It’s true… After a long intense workout at the gym, you no longer need to suffer through the dreadful pain of your muscles calling out to you for help. Watermelon is a natural and cheap way to avoid feeling sore pain in your muscles. Watermelon contains a little over one gram of l-citrulline, an amino acid that seems to protect against muscle pain. Delayed Onset Muscle Soreness (DOMS), experienced one to two days after exercise, is actually caused by inflammation caused through microscopic tears in your muscle fibers and your surrounding tissue. These tears are what cause inflammation, which awakens your pain receptors. 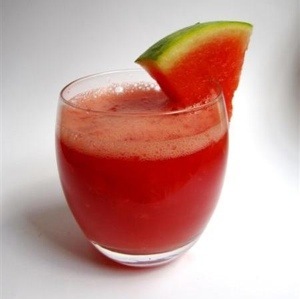 Watermelon helps relieve muscle soreness because of its anti-inflammatory properties. So next time you want to workout and worried about the next day… Consider this alternative!